How are you staying informed on the latest antitrust litigation developments? 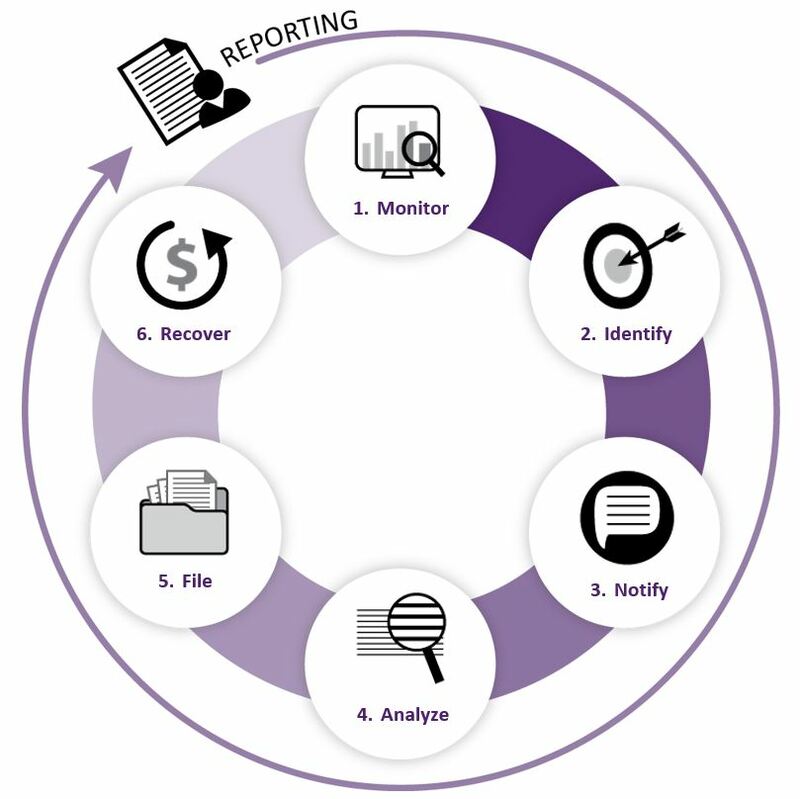 What process do you have in place for recovery opportunities outside of the traditional U.S. passive claims filing for securities class actions? 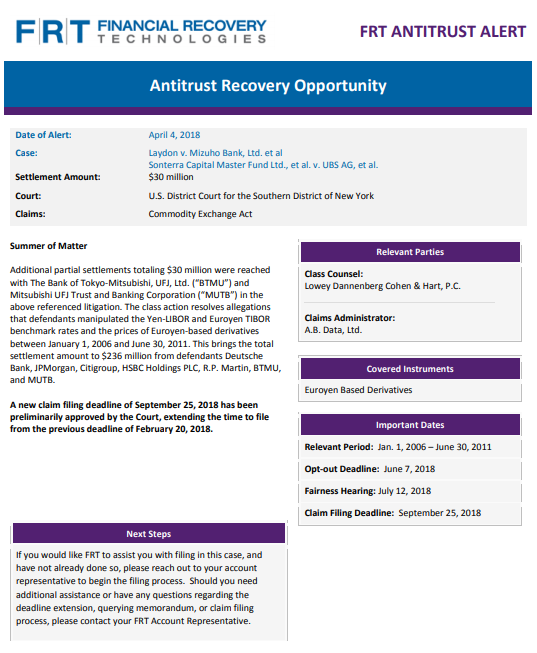 FRT Antitrust helps clients maximize recoveries in non-securities class actions including those under federal antitrust laws, the Commodity Exchange Act, and other laws relevant to their business. These cases arise out of anti-competitive behavior and/or market manipulation, often involving financial instruments or traded contracts (including commodities) other than stocks and bonds. They differ from securities class actions in that the cases themselves involve different bodies of law and different processes for recovery. 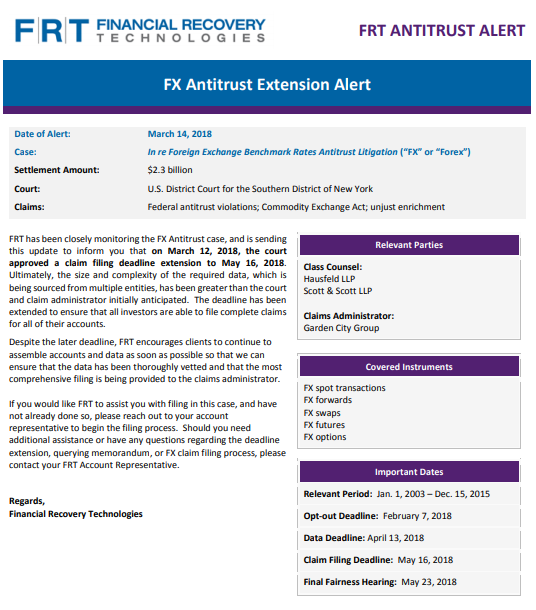 FRT Antitrust is designed to help you be informed of recovery opportunities from market manipulation for various financial instruments, commodities, and traded contracts. Notify clients when new cases are added and significant milestones, such as settlement, are reached.